As we await the clocks going forward this weekend, it feels like we can finally start looking forward to the summer. 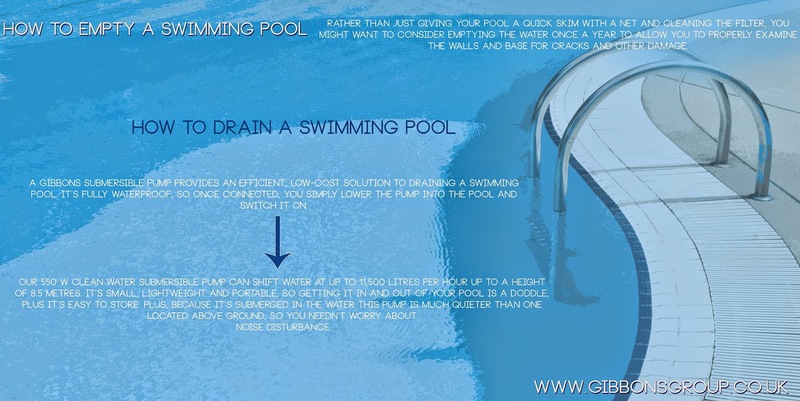 So if you have an outdoor swimming pool, it’s the ideal time to get it prepared for use. To enquire about our clean water submersible pump, including price and availability, call Matthew Gibbons on 07970 676272 or email matthew.gibbons@gibbonsgroup.co.uk.